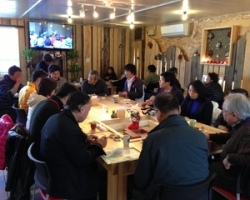 People in Soma and Futaba District have been making decisions over and over under the circumstance of uncertainty on everything just after the unprecedented “earthquake”, “tsunami”, and “nuclear accident”. 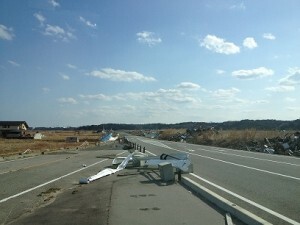 Bridge for Fukushima has collected and stored their knowledge and information on coping method to severe disasters. The training tour will provide these knowledge and information with participants. Soma and Futaba District Human Tourism Committee (Bridge for Fukushima as secretariat) aims to enhance people’s interest to Fukushima continuously, through establishing original learning occasion, and it has been developing new programmes for tours utilizing practical learning materials only this district can provide from its experience. “Fukushima Learning Tourism” will be carried out as an experimental trial collaborating with Learning Initiative Inc. (Taiki Kitajima, representative director, Minato-ku, Tokyo) which develops and manages practical learning programme. The trial tour will share special learning occasion only Fukushima can provide through knowledge, information, experience from unprecedented disasters. Soma and Futaba District Human Tourism Committee (office: 2-22 Satsuki-cho Fukushima-shi, Fukushima, director: Nagamasa Takahashi ) will conduct trial package tour of “Fukushima Fukushima Learning Tourism” on November 15 and 16, 2014, collaborating with Learning Initiative Inc. (Taiki Kitajima, representative director, Minato-ku, Tokyo). The trial tour will share special learning occasion only Fukushima can provide through knowledge, information, experience from unprecedented disasters. * The invitation will be closed when the full number of 20 is reached.Register by November 1. University students attend Fieldwork as a part of research seminar activities. Bridge for Fukushima will arrange fieldwork of various themes: fisheries, community development, community business, emergency relief, etc. in Soma and Futaba District. Method: study tour, workshop, meeting with the disaster affected. Experience: Harvard Business School, the University of Tokyo, Tokyo Institute of Technology, Hosei university, Asia University and more. 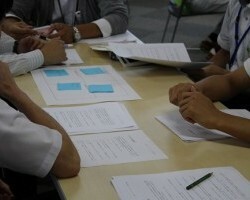 The learning session was held on on August 27 supported by Namie town office. 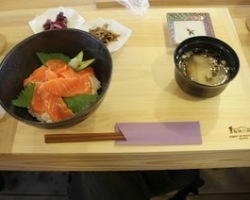 This session targeted the officers who transferred at Namie Town office after the earthauake. Bridge for Fukushima coordinated the fieldwork of Fukushima reconstruction project in Soma and Minamisoma, initiated by Fukushima High school, designated as Super Science High school. Pro bono is a Latin phrase for professional work undertaken voluntarily and without payment or at a reduced fee as a public service. A volunteer gave comment that ‘I realised there was difference between reality and image of farmers in Fukushima.’ Sharing comments and opinions among participants became an asset for the participants and BFF. 2014/11/27 Trial package tour ‘Difficulties and distress Namie-machi town officials faced on March 11, 2011’ was conducted.